We’re normally open Monday to Friday, from 9.00-17.00, and on Saturday, from 9.00-13.00. We are closed on Sunday and announce any ad hoc closures at the top of our web pages. 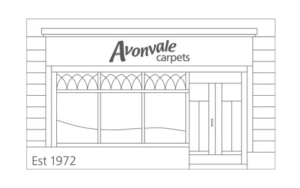 Contact Avonvale Carpets on 01225 427 057, email on amy@avonvalecarpets.co.uk or pop into the shop and browse our fantastic range of quality carpets. Find us just off Kingsmead Square in Bath city centre, adjacent to the Kingsmead Square short stay car park, and just a 5 minute stroll from the Avon Street and Southgate long stay car parks. Or if you prefer, complete and send the contact form below and we’ll reply as soon as we can. We look forward to speaking to you. Friendly, efficient organisation.Consistent high levels of service.Highly recommended.